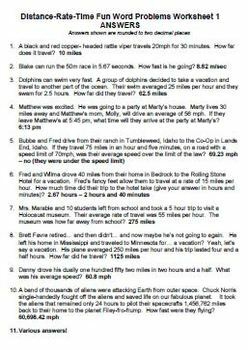 Why should worksheets be boring? 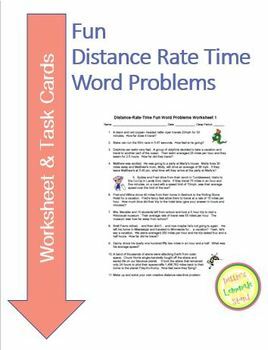 These 10 distance-rate-time word problems are fun but are still super tools for assessing a student's understanding of this skill or just practicing before assessment. 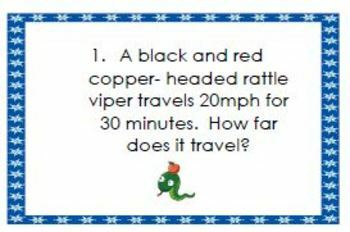 There is also an 11th question that pushes higher order thinking by asking the student to make up their own creative distance-rate-time word problem. TASK CARD FORMAT also included.